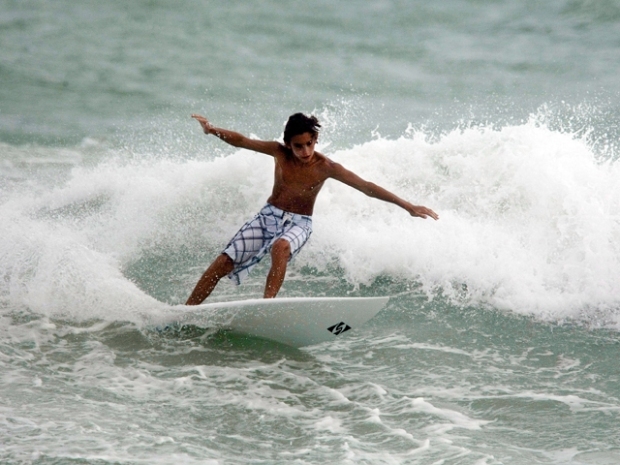 The storm could bring rain to South Florida as early as Wednesday or Thursday. 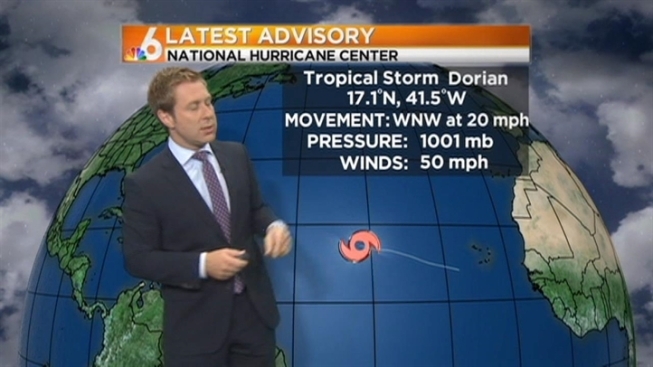 Tropical Storm Dorian continued weakening while it moved rapidly across the Atlantic Ocean Friday night, according to the National Hurricane Center in Miami. As of 11 p.m., the storm, located about 985 miles east of the Northern Leeward Islands, was moving west at 22 miles per hour with maximum sustained winds of 40 miles per hour. Dorian is expected to weaken further and become a remnant low, a type of post-tropical cyclone, in the next day or so, the National Hurricane Center said. There are currently no coastal watches or warnings in effect and it does not yet pose a hazard to land. The storm could bring rain into South Florida as early as Wednesday or Thursday.